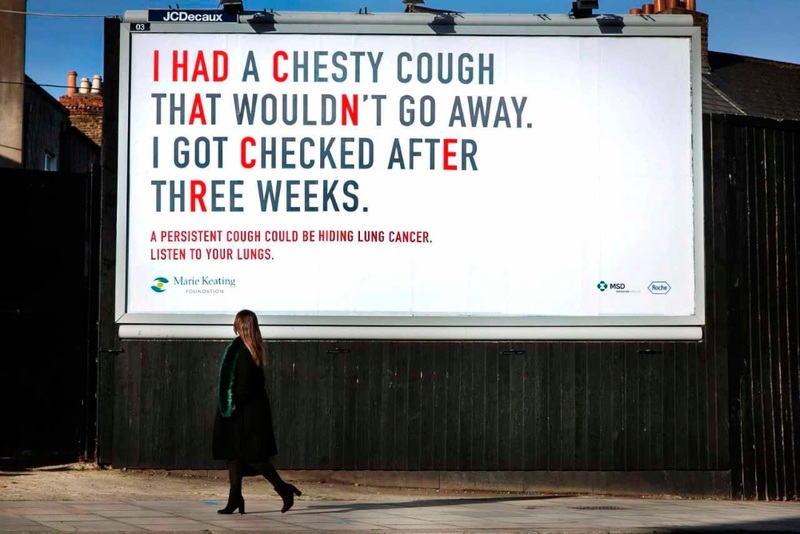 A lung cancer advertisement created by the Marie Keating Foundation was installed in Dublin, addressing passersby with an audio recording of someone loudly coughing. The audible cough was created to encourage anyone with a similar issue to get their cough checked rather than letting it linger, as it may hint to a larger underlying medical issue. The billboard was released in November alongside other nonprofit organizations raising awareness for International Lung Cancer Awareness Month. For those in Dublin interested in checking it out, they can find it on Macken Street.